Like diuretics and ACE inhibitors/ARBs, in a situation where the body is stressed, NSAIDS can stun the kidney and worsen kidney function. This is a different reaction than the nephritis or inflammatory response discussed in the prior post. If your loved one complains to you of nausea, vomiting, or diarrhea, I strongly urge you to call his doctor and ask if any or all of the above medications should temporarily be stopped. Patients who are scheduled for colonoscopies are usually given oral phosphate-containing solutions as part of the preparation in order to cause a significant bowel movement before the procedure. However, there have been reports of such compounds causing acute kidney failure; in some cases the kidney function didn't return to normal. The term for this form of kidney failure is acute phosphate nephropathy. The combination of the patients being dehydrated from the preparatory agent in addition to the use of ACE inhibitors/ARBs and a diuretic is felt to be a contributing factor. If you need to get a colonoscopy, question your doctor as to the type of preparation he is using. I would recommend avoiding the use of any phosphorus-containing enemas as they can affect kidney function. If you are on an ACE inhibitor/ARB or diuretic, ask which medications should be temporarily stopped prior to the procedure. 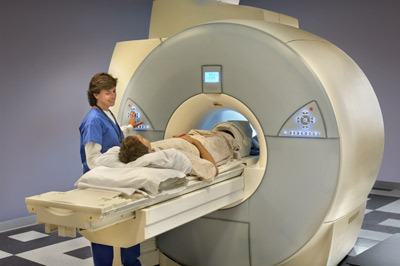 There are imaging studies such as CAT scans and MRIs that your doctor may ask you to obtain. In order to get a more detailed "picture" of what the doctor is looking for, you may be asked to get these studies using either contrast dye or a type of contrast called gadolinium (gad-olin-eum). If you have CKD, there are possible risks to the kidneys. Your doctor may ask you to obtain a special kind of imaging study called a CAT scan. This can be of your head, chest, or abdomen - or a combination of all three depending on what he is looking for. You may be asked to obtain this study with intravenous contrast, which is a type of dye that is injected into a vein at the time of the study. Depending on your level of kidney function, the use of such a dye can pose a risk to your kidneys. The higher the dose and concentration of the contrast used, the greater the risk. If you have CKD, there is a greater risk, as well. If you need to obtain a CAT scan, ask your doctor if dye needs to be used. When the answer is yes, there are a couple things you can do to minimize the risk to your kidneys. The first is to avoid using any diuretic or ACE inhibitor/ARB, at least on the day of the study. And the second is to increase your fluid intake at least by 25 to 50 percent the day before the study. The key is to talk with your doctor before any type of study like this is done. Sometimes, on an emergent basis, you may not have the luxury of preparing beforehand. For example, some people come to the emergency room with severe shortness of breath, and the doctor may order a CAT scan with IV dye to make sure there is no clot in the lungs. As this is a life-threatening emergency, this type of study will be done as quickly as possible. Your doctor will be following your kidney function closely. And while the use of intravenous dye in imaging studies can affect kidney function, other, more invasive procedures can pose a greater risk. To find out more, you can check out Treatment Of Chronic Kidney Disease.